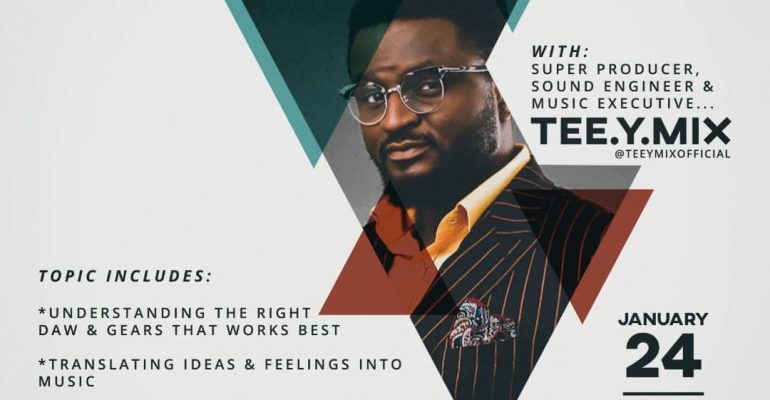 Tenstrings Lekki Center hosts Nigerian top record producer, Tee-Y Mix, on THURSDAY 24th of JANUARY for a special MasterClass with our students. Current and past students from all centers are welcome. This is a chance to take your game to the next level; don’t miss it. Admission is FREE! Temitayo Ibitoye better known as Tee-Y Mix is known not just for mixing but also as one of Nigeria’s foremost music producers. He has produced for Iyanya, Davido, Seyi Shay, Chidinma, Darey and more. He got his diploma in Audio Recording Engineering from the Audio Institute of America. In 2008, Tee-Y Mix appeared as one of three judges for the reality television music competition show – Project Fame West Africa. Tee-Y Mix, along with fellow judges Adé Bantu and Bibie Brew, evaluated thousands of amateur contestants in their ability to sing.